The Order of Saint Andrew the Apostle, Archons of the Ecumenical Patriarchate, notes with sorrow and dismay new reports that Turkish President Recep Tayyip Erdogan may convert the Hagia Sophia to a mosque. Hagia Sofia in Istanbul is known throughout the world as the Great Church of Christ. Built in the sixth century by the Byzantine Emperor Justinian, Hagia Sophia was for nearly a thousand years the seat of the Ecumenical Patriarchate, the center of the Orthodox Faith, and the world’s most magnificent cathedral. Following the Muslim conquest of Constantinople in 1453, it was converted to a mosque by Sultan Mehmet II, and became a museum in 1935. While the status of the museum was not then changed, the Islamic call to prayer was conducted there for the first time in 85 years on July 1, 2016, and a permanent imam was assigned to Hagia Sophia. This was a violation of the monument’s formal neutral status. Archon leadership met in Washington on Tuesday, July 12, 2016 protesting this development and sought official criticism of this move from the U.S. government. 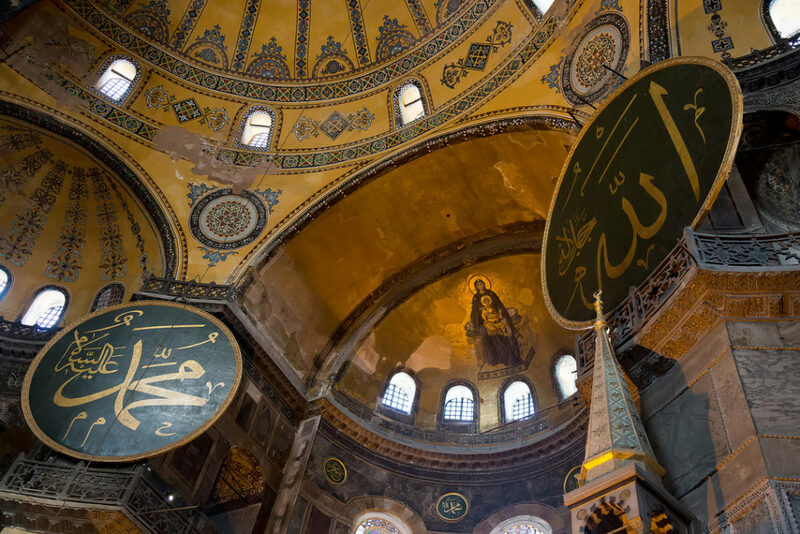 The Order urgently requests that the United Nations and the U.S. State Department and Commission on Religious Freedom act to prevent this, given the Hagia Sophia’s importance for Christians and the deleterious effect this change would have upon Turkey’s embattled Christian minority. Converting the Hagia Sophia to a mosque would further undermine the position of the Christians of that nation, making their situation all the more precarious. We ask instead that the government of Turkey affirm its commitment to religious freedom and discard all plans to change the status of the Hagia Sophia. The building in Istanbul that is the subject of this call to action by the Archons hasn’t been an Orthodox Church since the year 1453. That is 566 years ago! I was married in a building in 1970 that was advertised as the “largest Greek Orthodox Church in the Western Hemisphere”. Saints Constantine & Helen on south Stoney Island Avenue in Chicago was designed to resemble St. Sofia. It was sold to the Black Muslims and is now a mosque. It is where Louis Farrakhan preachers today. I applaud the work of the Archons in lobbying for religious freedom in Turkey. Christians are being martyred across the globe. Even here in the U.S. Christianity is marginalized and derided by our increasingly secular progressive culture. 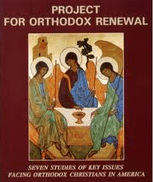 As Americans the Archons should be concerned with the survival of Orthodoxy in the U.S. As “protectors of the Ecumenical Patriarchate” the Archons are uniquely positioned to convince the Patriarchate that its survival depends on a united American Orthodox Church. Divided into fourteen overlapping, struggling ethnic “jurisdictions” Orthodoxy in the US is not growing. 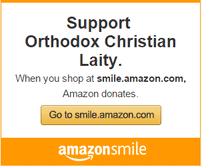 It cannot provide the Ecumenical Patriarchate (or other Orthodox Churches in areas where they are under siege) with the financial and political support that a united growing American Orthodox Church can. If the Ecumenical Patriarchate believes that Autocephaly is right for the Ukraine, how much more compelling is our situation here in America? Uniting and growing the Church in the US should be the focus of the Archons. It is really the only way they can protect the Ecumenical Patriarchate. If the Church in the US continues on its divided, declining path, we should all start worrying about when the Shrine at Ground Zero will become a mosque. Excellent post Mr. Karcazes! Bravo! George K has always had a clear view of what needs to happen. Unity is strength and yes, power. Power to fund more churches, more priests, more ministries and yes, to support the Ecumenical Patriarchate. How many new churches do we see on the horizon, and how can the Greek Archdiocese assist when it has so many financial problems of its own? Thanks George for your always concise and pertinent messages. God bless you!